Besides Japanese cuisine, Mediterranean food is one of my favorite cuisines in the whole while world. I always dream of travelling to Morocco and eating authentic food from that region. 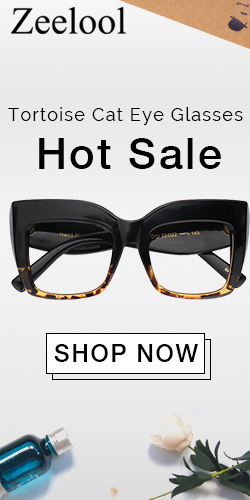 But since that is still a far off dream that I have to chase, I'm settling for what is readily available at the moment. 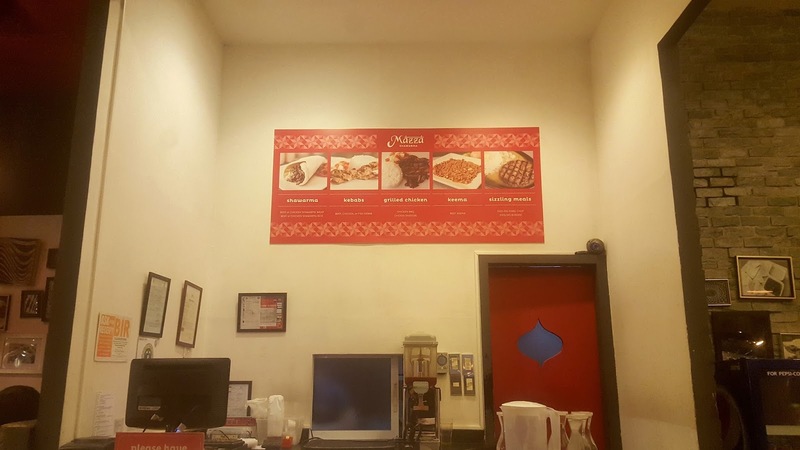 I love that Manila isn’t scarce of restaurants that offer the Mediterranean fare. Some are authentic, some are fusion and some are close to the Filipino palate. 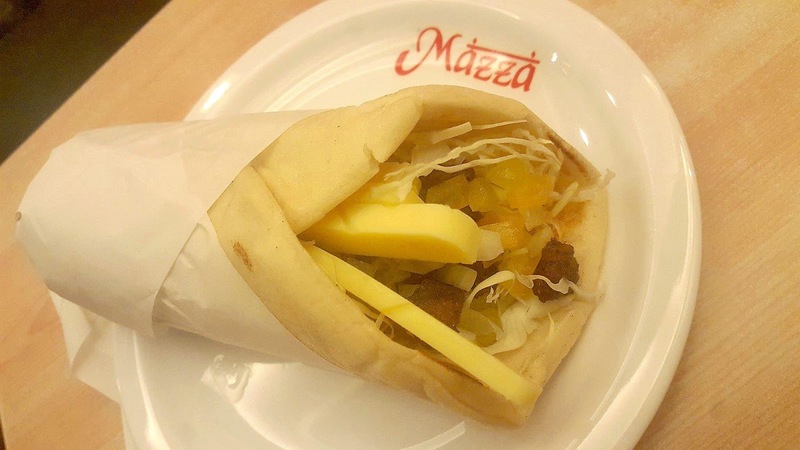 One of which is Mazza Shawarma. I always pass by this place every time I go to work. 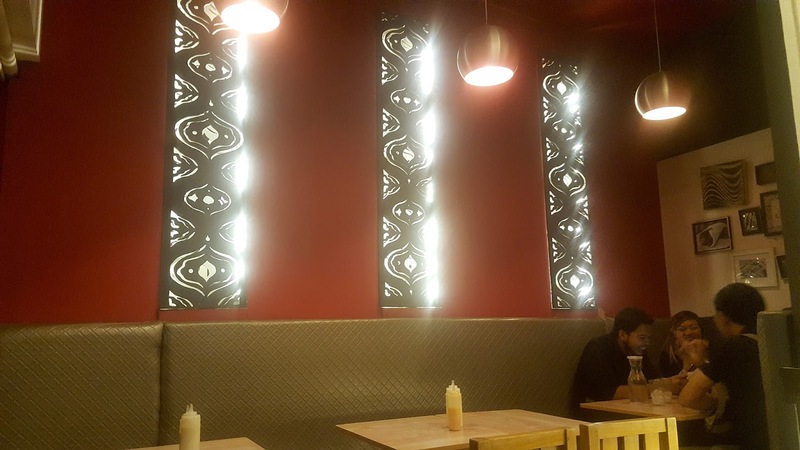 I had this belief that they only serve shawarma; but when I finally stepped foot in it, I discovered they have a lot of menu offerings besides shawarma and shawarma rice. 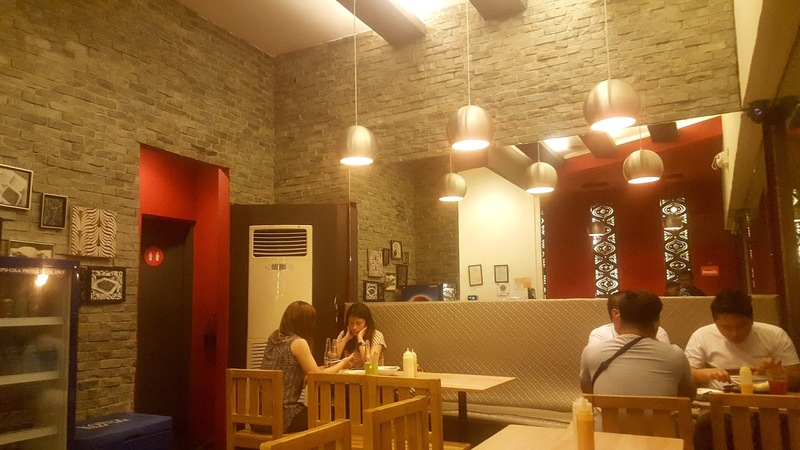 Price points are affordable compared to other restos serving Mediterranean dishes. On any given day, Mazza is packed with people working in and around McKinley. Not only that they serve meals, they also sell alcoholic beverages. 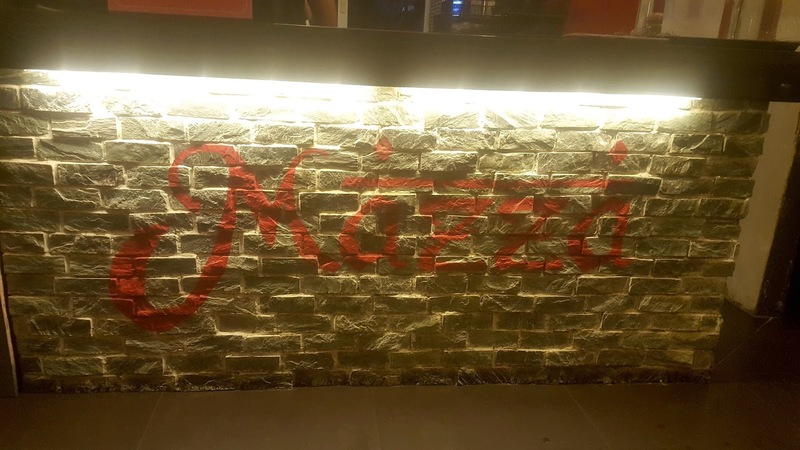 A reason why it attracts young professionals to go there to binge and booze after a hard day's work. 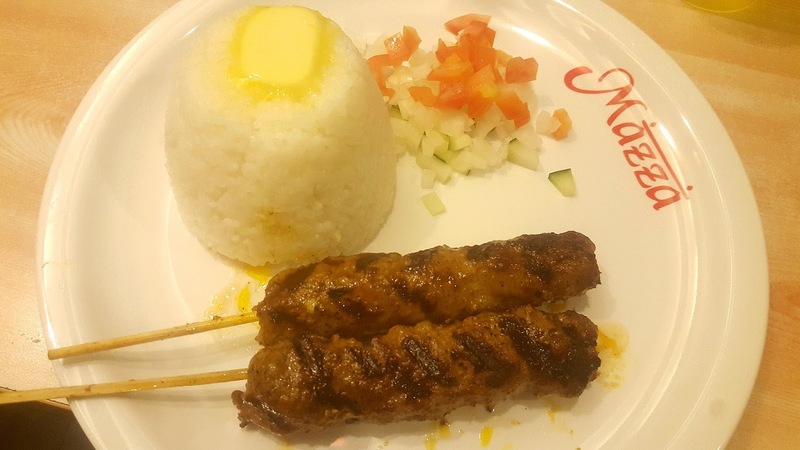 Two-Pieces Beef Kebab Meal - this includes two sticks of beef kebab served with buttered rice, cucumber, onions and tomatoes. 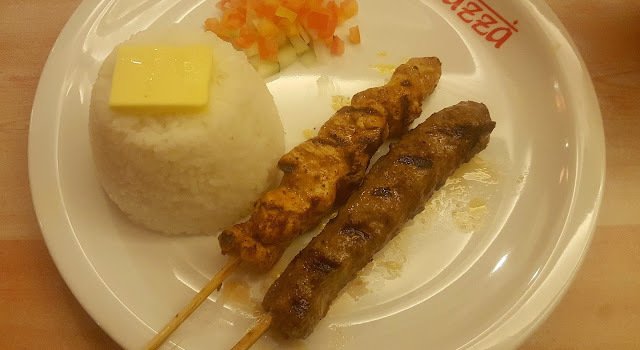 The kebabs are made of ground beef marinated in spices, skewered, then grilled. What I like about Mazza's beef kebabs is that it's not purely ground beef that almost look like flattened patties, but there are still chunks of the meat in there. I personally don't like it looking like or made like beef patties for burgers. You can still see shreds of meat fibers. They tasted very well-spiced too. Chicken Tandoori Meal - grilled thigh quarter fillet marinated in select spices, served with rice, onions, cucumber and tomatoes. 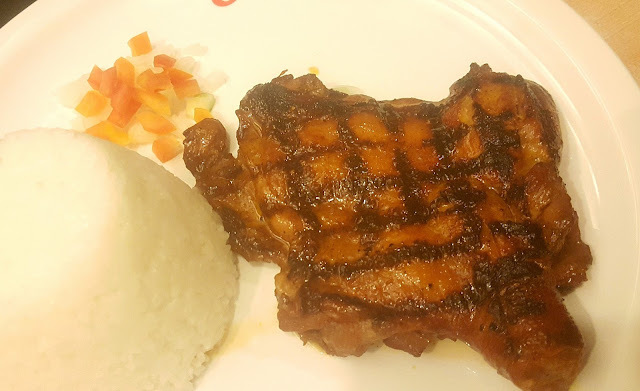 The meat was tender and juicy, though a bit salty. I'm not a fan o their side salad which contains a mixture of onions, cucumber and tomatoes. I prefer my Mediterranean grilled items and kebab with grilled tomatoes and grilled onions. Beef Keema Rice Meal - ground beef marinated in spices, skewered served with tomatoes, cucumbers and onions. I love that their version of beef keema is not drowning in oil, it had just the right amount of it. It's also very well spiced and tasty. Best paired with their Persian gravy or a.k.a. yogurt garlic sauce. Mixed Plate Kebab Meal - includes one stick beef kebab, one stick chicken kebab with buttered rice, cucumber, onions and tomatoes. This is what you should order if ou want to try their other kebabs. My favorite of their rice meals combo. Kinda like you are having the best of both worlds in this meal. 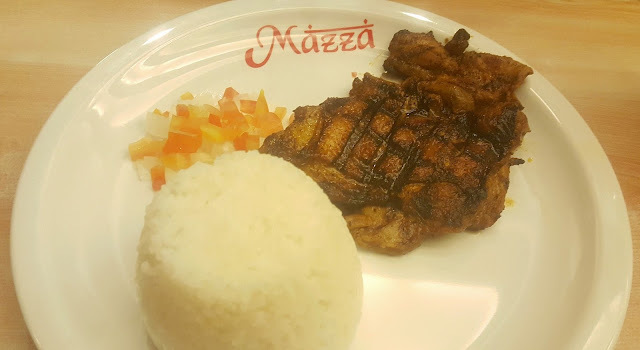 Chicken BBQ Meal - Grilled thigh quarter fillet marinated in Mazza's special BBQ sauce and served with rice, onions and tomatoes. Less salty than the chicken tandoori. Beef Shawarma Wrap - beef shawarma marinated in spices wrapped in pita bread with cabbage, onion and tomatoes. If you want it with cheese there's a 10 pesos additional charge. The serving is big enough and not scrimpy on the ingredients. 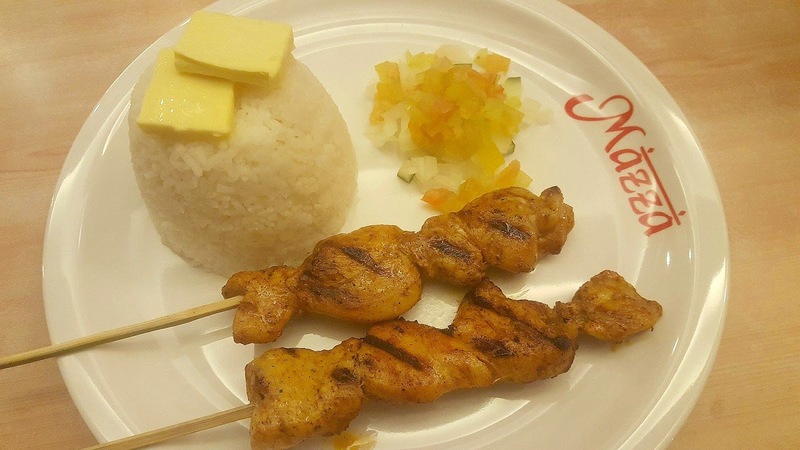 Two Piece Chicken Kebab Meal - includes two sticks served with buttered rice, cucumber, onions and tomatoes. This utilizes chicken breasts, not dry and pretty tasty on its own, even without putting the yogurt garlic sauce on them. 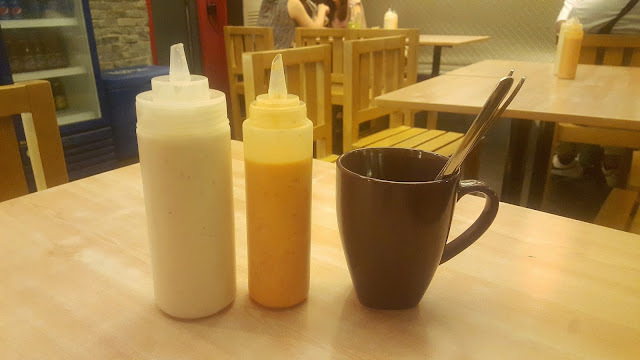 Each table is equipped with utensils, yogurt garlic sauce and chili sauce. I like that part since I love my kebabs drowning in that oh so good yogurt garlic sauce. 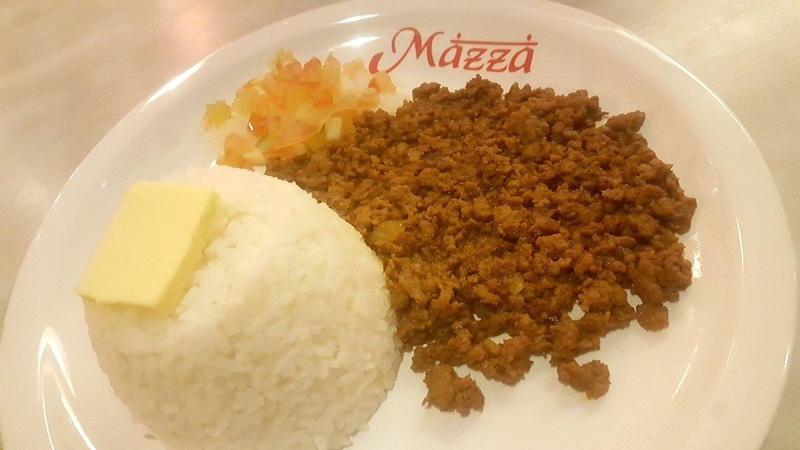 Also, extra butter for your rice can also be ordered for only 10 pesos.